We spent the first week of this month (January) in Costa Rica. Hummingbirds were the feature for us, as we didn't hike or tour with a guide. We chose lodges where good birding was available on site. Feeders brought birds to us. 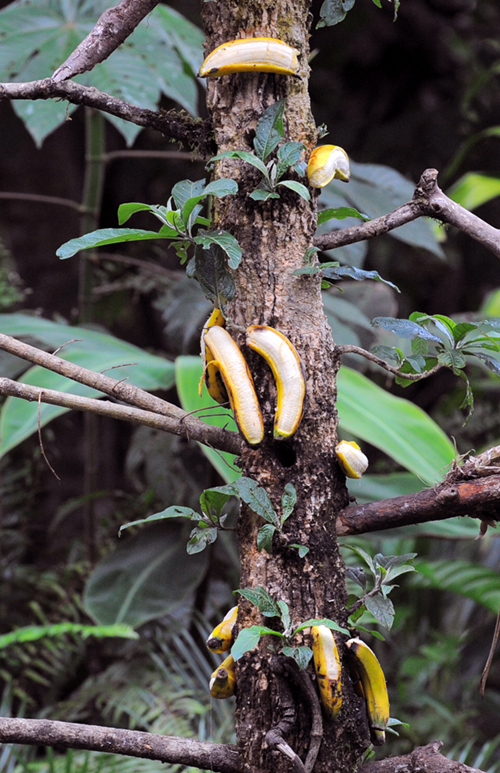 Interesting was the food used to lure orioles, tanagers, and a few warblers -- bananas. No other food was offered. Bananas were opened by removing one strip of peel, then stuck on nails that had been pounded into feeding posts or simply laid on flat surfaces. Come spring we're going to leave the grape jelly in the frig, and try bananas. 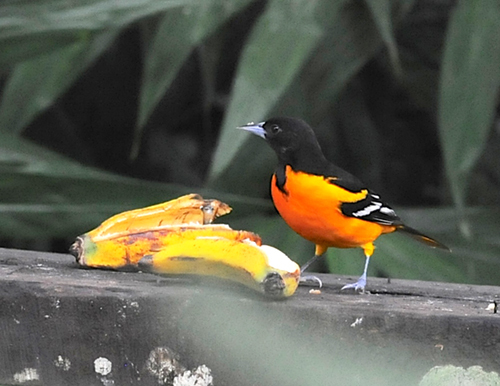 Below, a male Baltimore Oriole eating banana.